Advent speaks to deep places in me. Each year I eagerly await the season known for anticipation and preparation, for hushed tones and flickering candlelight. I savor reflections on Christ coming near. Emmanuel songs whet my appetite more than Christmas trees. These weeks awash in blues and purples lure me into the mystery of it all. My heart is expectant and light. Except for this year. I don’t feel the tingle of expectation this Advent. No stars in my eyes even as I hear O come, O come, Emmanuel and preside over the family Advent readings. Nothing. Instead I feel an Advent ache. More than anything I feel weighted by unsatisfied longings. Ambushed by word of disrupted adoptions and the demolished marriage of friends, angst replaces the more traditional anticipation. News out of places like Goma and Gaza remind me people live under daily threat, some days cowering in their homes. Slums in Kampala and townships outside Cape Town refuse to be quieted, they scream of layers upon layers, years and years of injustice. These people, these places press all the levity out of me. Pregnancy speaks of promise during Advent, a potent metaphor about birthing newness despite all the messiness of life. But in many parts of the world, to be pregnant is to be in physical peril. Birth in places like Burundi and Sierra Leone is precarious for mother and child. Maternal mortality soars in these small African countries for lack of nutrition, transport to a clinic, midwives. Too many sons die before the turn five – too many burials and not enough birthdays. In other regions girls get discarded in dumps, given no chance at redeeming their life. To birth a child is such a fragile thing, but more so for other people in other places. And this pains me. Knowing all these realities (and more) exist in the world right now has me quite wrecked. I can’t help but borrow from Frederick Buechner who speaks of our need to ‘obey the sadness of our times.’ I see and I must obey. I cannot ignore these stories, these truths that live side by side with Christmas tree lots, strands of twinkle lights, decked halls and wreathed doors. But holding both together challenges my usual Advent posture. What I feel now can best be described as a deep longing, a yearning, a groaning for the world to be set right at long last. I finally feel a connection to our ancestors who spent hundreds of years living between a fresh prophetic utterance and the arrival of Good News swaddled in a stable. All those generations endured a weighted waiting – heavy with broken stories. The ancients suffered occupation, exile, land loss, war and other injustices that robbed them of shalom. ‘How long, oh Lord?’ echoes through the canyon of intertestamental time and now I join the lament. I’m pining alongside the patriarchs and matriarchs of faith, grafted into their incessant questions about the promised deliverance. They wondered when a savior would come; I wonder when salvation will saturate our limping world. When will chronic violence be put to rest and we find better use for our metal, anger and fear? When will our anxiety over resources be eclipsed by our awareness of God’s abundance? When will there be enough for everyone? When will mothers give birth without fear? When will dignity flourish on the streets of Gaza and peace infuse the households of Goma? And when, Oh Lord, will justice dismantle decades of wrongness and rot in slums, townships and ghettos? Is it too soon to dream of viable and vibrant communities? This Advent I stand in the ancient tradition of lament and longing as my insides churn at the not-yetness of it all. I wrestle with the unknown, unanswered and misunderstood things as I light the purple candle. I confess the great ache of incompletion. “I cannot ignore these stories, these truths that live side by side with Christmas tree lots, strands of twinkle lights, decked halls and wreathed doors.” Lovely words of longing. Every year is different in its feel, I think. As I get older, the deeper meaning and pain of every biblical story seems to move me much more than the bright sheen used to. Thank you for the reminder that these stories of faith and holiday traditions are often filled with lament. Thank you for these words. I’ve just tried write about this growing feeling of heartsickness for the Light that dawns in the deep darkness, but I could not get at the heart of through my words. You’ve given language for the ache here – thank you. I followed a link on twitter and found myself moved to tears. You are describing exactly how I’ve been feeling lately. Life is so hard and it seems like the more we discover about this world, the more I ache for the return of our Lord. My heart is breaking this year, but I pray the Lord will restore my brokenness into something beautiful. Thank you for your transparency. IT’s never easy to be this raw. So beautifully expressed – the exact sentiment of Advent. The longer I live, the more fully I want to inhabit this season and save the merry-making for Christmastide, which is, after all, a very short season – 12 days or so. Because we are still waiting, aren’t we? Waiting and weighted. Make room on the mourner’s bench for me, please. Thank you for spilling your heart so beautifully, echoing what I’ve been feeling. This is my first time here and with every passing year I find myself saying, “Oh Lord how long–I welcome you to come!” The here but not yet–you capture it so well. I can’t help but think that I need to learn the balance of mourning while not allowing my hope to be robbed. It’s hard though. This reminds me of the video series my husband put together for Advent. I wrote the prayer in the VO to accompany the darkness of the season, and the need to cling to hope. These “advent aches” you feel, I feel as well. They are a reminder that this world is not our home. When will all this end? When Emmanuel returns one last time to take us up to eternal Shalom. But as we wait, we can only strive to meet the needs of the vulnerable, comfort the lonely, fight for justice, and pray for peace. Blessings! Beautiful. This is often my prayer: Your Kingdom Come. Come, Lord Jesus. I linked to this post on my blog. Thanks for putting this ache so many of us share into words. Kelley, thank you for your words here. I had someone read this during our morning service at Adelaide Place Baptist Church in Glasgow today and it really resonated with a number of people. 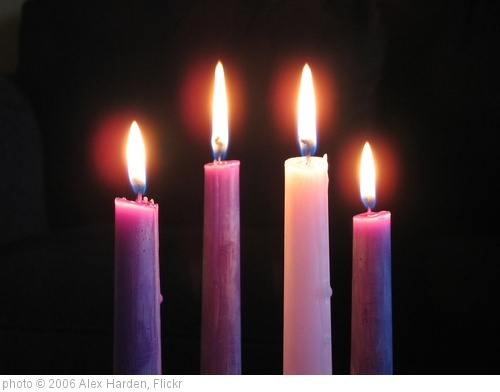 The link to the sermon is at http://www.apbc.net/apbc_sermon/the-ache-of-advent.